The Official Website of Bestselling Author Kaitlyn Davis (Kay Marie): Midnight Ice Box Sets! I've got another box set announcement for you all! 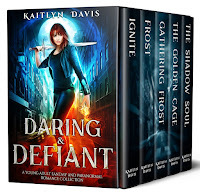 Last week, I introduced my new first-in-series box set, Daring & Defiant :) You can click the image for more info on that! And now, I'm SO EXCITED to announce some new Midnight Ice box sets!! I'm in LOVE with these covers...if I do say so myself :) The regular series covers have a more YA vibe, so I decided to design the box sets with a bit more of an urban fantasy feel. Didn't they turn out great?! 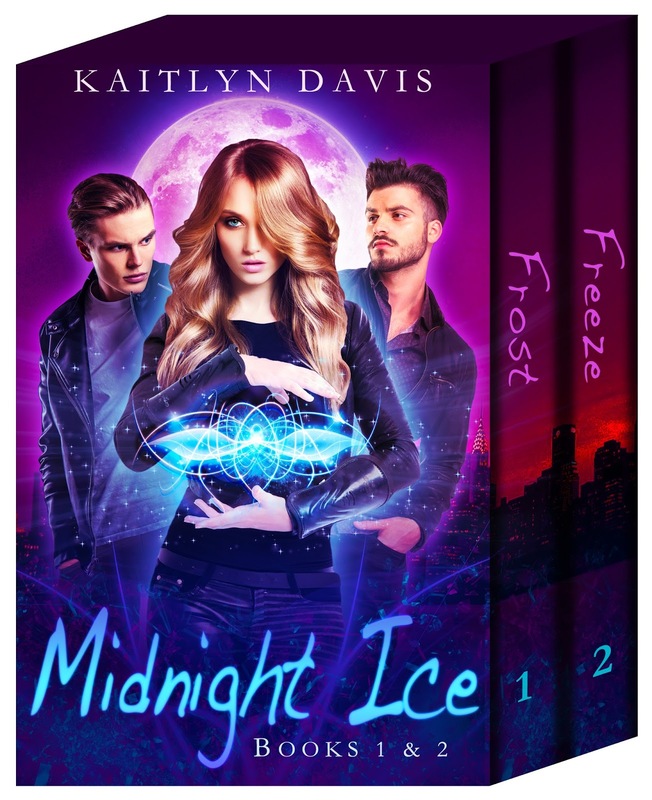 If you're new to Midnight Ice, I decided to discount the first box set by $1, so you save a bit of money by purchasing the first two books at one time! Anyway, hope you check them out!! Here are some info and links! "Exciting, suspenseful and full of intrigue." Vampire lore meets ancient Greek mythology in this romantic, action-packed series perfect for fans of Twilight, The Vampire Diaries, and A Shade of Vampire! MIDNIGHT ICE is a modern retelling of the Pandora myth in a paranormal world filled with vampires, slayers, were-creatures, angels, demons, titans, and more! This box set includes the first two books in the series, FROST and FREEZE! "5 stars for this supernatural read that I couldn't put down!" "This series has been the highlight of my year." "Holy crap that was awesome!!" 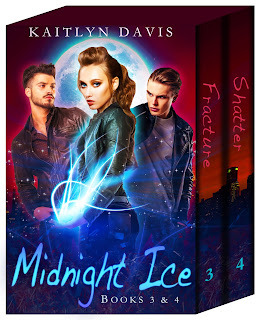 This box set includes the final two books in the series, FRACTURE and SHATTER!